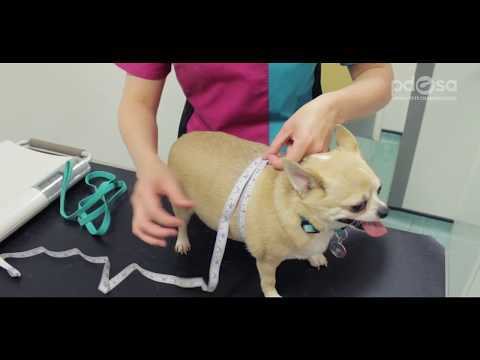 Watch our video and get advice on how to keep your cat, dog or rabbits at a healthy weight, and find out about the problems that carrying too much excess weight can bring. Checking your pet’s shape is a better way to tell if they’re carrying extra weight rather than relying on the scales alone. That’s because the ideal weight is different for every type and breed – but a healthy shape is the same for all dogs, cats and rabbits. 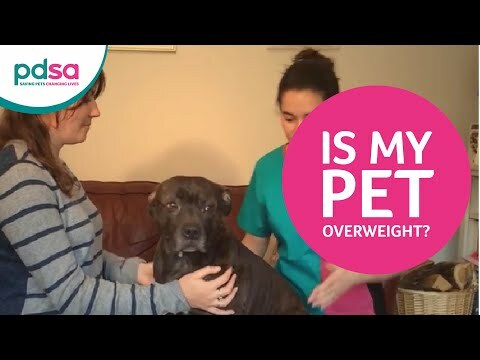 The video below shows how to check if your pet is a healthy weight – we’ve used lovely staffie Millie as an example, but you can use the same method for all pets. It’s good to get into the habit of checking your pet’s shape every few weeks, starting when they’re young. That way, you’ll know what’s normal for your pet – and your pet can get used to the process, and enjoy the extra attention! Find out about providing your dog with the right food throughout their life. Find out about providing your cat with the right food throughout their life. Find out about providing your rabbit with the right food throughout their life. How should I exercise my cat? Special cat toys and activities will help keep your cat busy and interested in life. Getting the right amount of exercise is really important for your dog. How should I exercise my rabbit? Here are some simple things you can do to keep your rabbits healthy.